Republican candidate for governor Scott Lively. 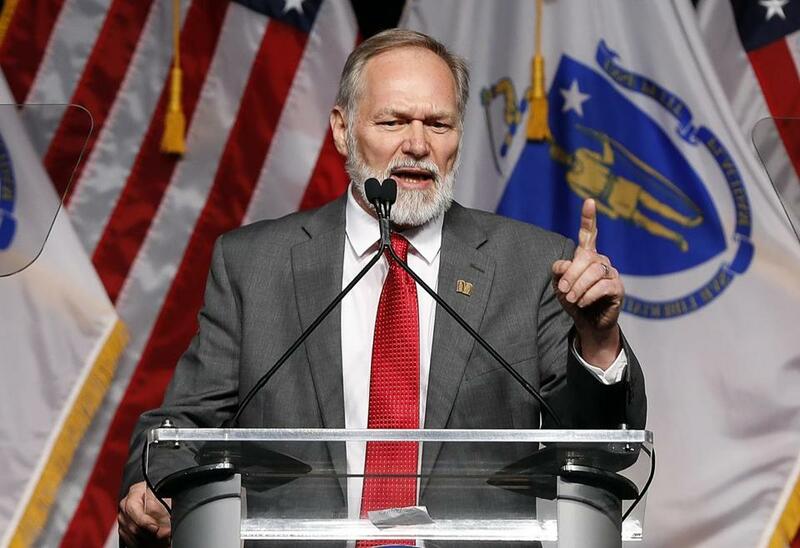 Lively said in a Tuesday statement to the Globe that he has well over the 10,000 certified voter signatures required to qualify for the Sept. 4 ballot, just several weeks after he unexpectedly gained enough support at the GOP convention to participate in the party’s primary. The secretary of state’s office said it is still collecting the signature petitions and will not have final numbers until June 5. But if Lively’s signature count holds up, he would probably be insulated from possible legal challenges. Lively’s first success came last month, when a right-leaning block of anti-Baker delegates, angry at the governor for muscling them out of control of the party and his refusal to support President Trump, shocked the GOP convention and gave Lively 28 percent of the delegate support. That was well above the 15 percent he needed to continue his candidacy in the primary. Also in his statement, Lively took the opportunity to air his grievance about the state party, which broke its rules and organized petition drives for the governor earlier this year. When the Globe raised the issue, the GOP executive committee hastily called a meeting and threw out the rule — which barred the party leaders from taking sides in GOP races. It also prohibited the party from providing assistance to Lively, whom it denounced for his extreme views on gays. “I will point out we would have had a much higher number of signatures if Baker’s minions in the Mass GOP Executive Committee hadn’t sabotaged my efforts by officially declaring me a pariah in that illegal repeal of the neutrality rules they pulled off a couple of months ago,’’ he said. “I was essentially forced to rely on my own volunteers and paid signature collectors while the Mass GOP did all of Baker’s signature collecting for free,” he said.